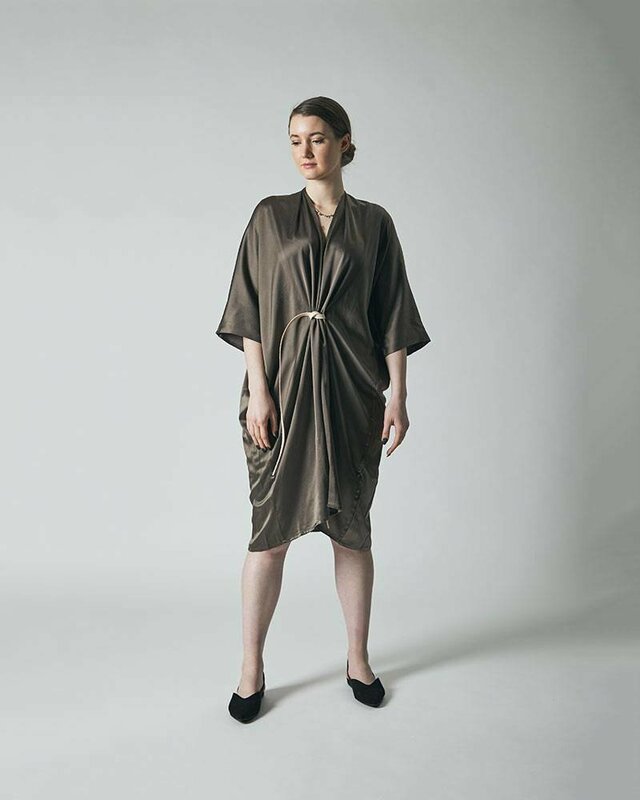 The O'Keefe Dress is comprised of humble geometry done just so, conforming to innumerable body types, resulting in a flattering and comforting shape for any body, while lending confidence to the women inside. The Everyday Dress shown in washed silk charmeuse, in the naturally dyed "Badlands" color, has an easy body with stay stitched, unfinished sleeves and hem to play against the formality of the the fabric. Miranda Bennett Studios colors are derived from natural, plant based materials.